The annual end to the school year for students in Karenni Refugee Camp 1 is in March. During this month and early March, a number of schools hold their graduation ceremonies and celebrate their students’ achievements. Students within Karenni Refugee Camp 1 can study at the Karenni high school until grade 10 level. This is equivalent to 10 years of schooling through primary, middle and high-school. The Karenni Education Department (KnED) runs the schooling system inside Karenni Refugee Camp 1. After completing high-school education, there are few options for young people within the camp to continue their education. The educational stage after high school is called post-10. For students within Karenni Refugee Camp 1, there are 4 main Post – 10 schools available to study at. These schools are; the Karenni Community College (KNCC); the Ban Nai Soi Community Learning Center (BnsCLC); The Women’s Study Programme (WSP); and our SDC School. Each of these schools has a different area of focus. 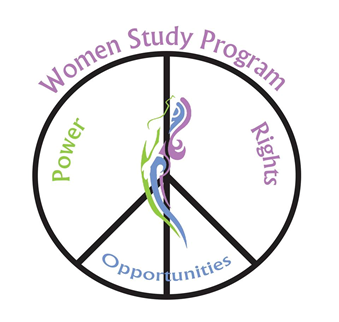 WSP is focused specifically on women’s empowerment. The Karenni National Women’s organisation runs the course. The WSP program is a partner of our SDC and many of the subjects are similar. The WSP has a basic and advanced course much like our SDC. Their program is focused more on women’s rights but they also teach human rights. Their advanced course focuses more on community management. on scholarships, in the past. BnsCLC mainly concentrates on linguistics. Their school provides students with the opportunity to study Thai, Karenni, English and Burmese. The BNSCLC runs a 2 year program for students and the school is open from June –March annually. The center has a diverse group of ethnic people attending and around their campuses languages such as Karenni, Karen, Burmese and Thai can all be heard regularly. Despite their being a variety of options for students to attend after completing grade 10, these schools do not have enough spaces to offer all of the students in camp places. All of these organisations strive to improve the access to and quality of post-10 education for young people in Karenni Refugee Camp 1. I'm a human rights trainer in the Karenni Refugee Camp. This entry was posted in News and tagged Baan Nai Soi Community Learning Center, Karenni Community College, Karenni people, Karenni Refugee Camp 1, Karenni refugee education, Post - 10 education. Bookmark the permalink.